This post contains affiliate links. 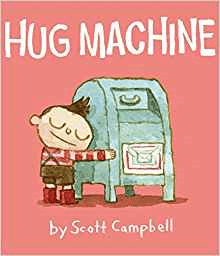 In addition, a giveaway copy of The Hug Machine has been provided by Simon & Schuster. As always, the thoughts and opinions expressed here are our own. You can read more on our Legal & Disclosures page. Thank you! It’s the end of a long day, and you are one story away from watching Real Housewives in your PJs with a glass can of wine. You anxiously await your kids’ book decision. Will it be the borderline unbearable “5 Minute Stories” book with the stories that just don’t make sense and are dry as a bone? Will it be the longest children’s book ever written? Or will it be a book you actually LIKE? You may not get to choose the book every night, but you can stack the deck in your favor by purchasing more books that are fun for YOU to read. Feel free to start with these handy suggestions from The Salty Mamas. This book is filled with cute, from the first page to the last (the last page is maybe my favorite page of any book ever. So sweet that I don’t dare spoil it for you). The illustrations are simple and clear, and there is just so much hugging. The format of each page is just a little bit different than the others, which means the kids don’t I don’t get bored. 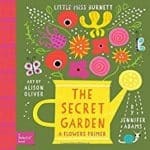 And they just came out with a board book edition, which makes it manageable for kids of all ages. 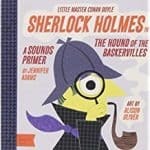 These books are fun, baby-sized adaptations of novels that grown-ups know and love, which means there’s a Secret Garden version for me and a Sherlock Holmes for Michael. The same publisher also does a cultural series, of which we are big fans of Loteria. It’s always neat to get to share something you love with your child, and this series makes it possible to do so on a level that is fun for them, too. It might be hard to sell your kids on this one based on the fact that- well, there’s no pictures. Clearly. But once you start reading, the giggles are bound to come and there are plenty of silly words to keep everyone entertained. And I like that it keeps Lila focused on the story and not asking me 17 bazillion questions about the tiniest details in every single picture on every single page. I’m just saying, no pictures is FOR SURE not a bad thing. All of her books are sweet with just the right amount of silly. 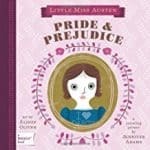 They are short enough to make them easy to read to little ones, and engaging enough for multiple rereadings. 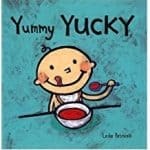 We are particularly fond of Potty and Quiet LOUD around here, but Yummy Yucky is high up on the list, too. This book has the right amount of grown up words, ridiculousness, and a cadence that makes it easy to read. It is not so wordy that I have to skip over sentences whole paragraphs, but not so short that Lila feels gypped when it’s over. And also, who DOESN’T love tacos?? This little book is the CUTEST. 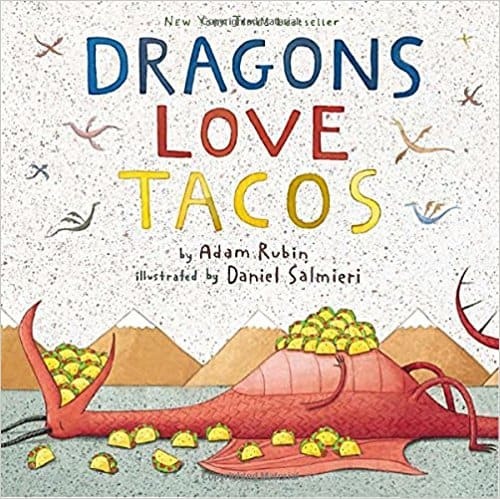 It could be a companion to Dragons Love Tacos in the gastric ailment department, but let’s face it, Hiccups are much cuter than breathing fire. 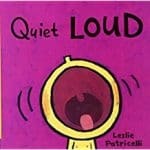 Be prepared though, this book can get a bit noisy towards the end if you go the interactive route, which can be problematic if you happen to have a littler one that is in bed by the time storytime for the oldest rolls around. But it’s one of my favorites, so I’m always down to risk it. I just adore these books. I love the rhyming, the simplicity, the way there’s a section where the suspense builds and I get to act all overdramatic for a little while there. 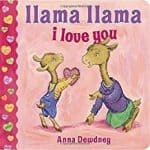 And I think Llama’s relationship with Mama is so sweet (although Lila’s favorite is Llama Llama Mad At Mama, if that tells you anything). 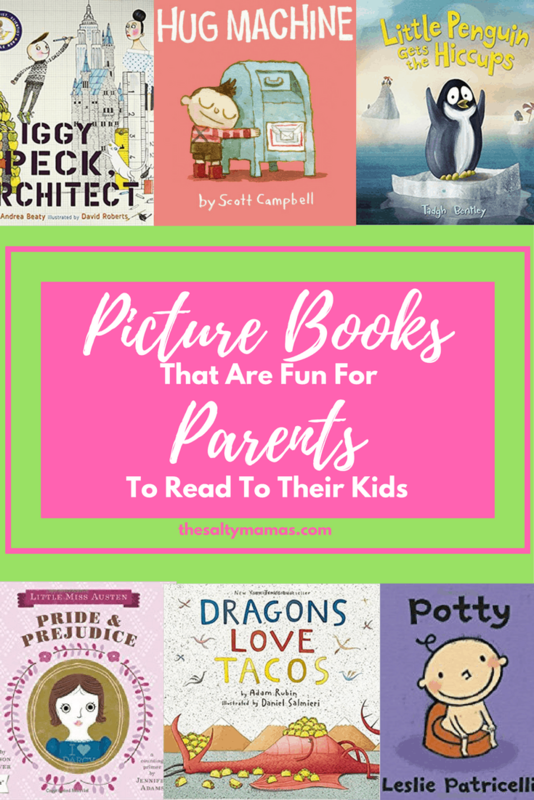 They also sell board book versions for littler readers, and there are a lot on Holiday themes which makes them the perfect inclusion in an Easter Basket or a sweet Valentine’s Day Gift. 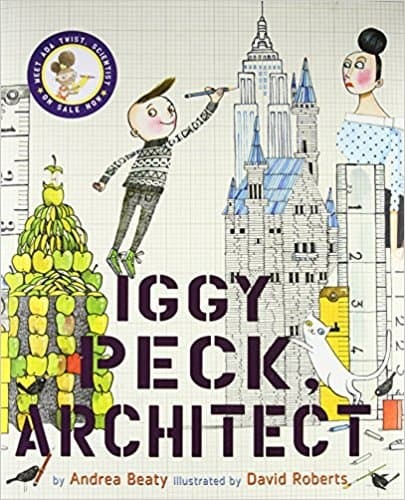 I love all of Andrea Beatty’s books (we featured Ada Twist in our list of books with main characters of color and Rosie Revere will likely be making an appearance soon), but Iggy Peck has a soft spot for me in particular because the teacher’s name is Lila Greer. And if your own name is the sweetest sound in any language, your children’s names are likely to rank a close second. So yeah, we love Iggy- and his teacher, too. This book is so silly and interactive, and while Christine is not a huge fan of interactive books (the turn taking involved in a bedtime story for two- or three!- can be a challenge), we’re still in a fun spot with it over here. 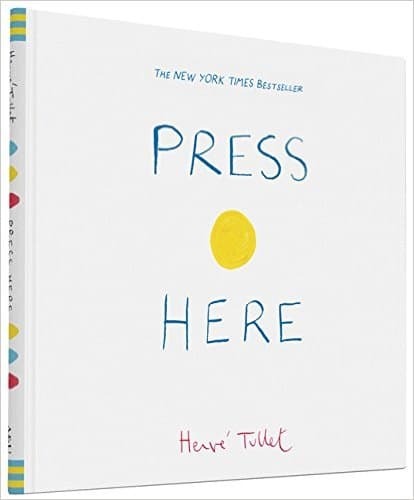 This book has fun instructions for ways to follow along and engage with the words, so the focus is off of me and my read-aloud abilities for once. 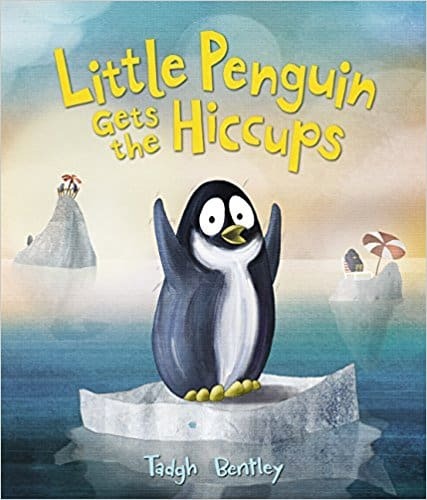 This book is sweet, fun to read, and kid LOVE it. Chad especially loves it because it teachers about compassion and kindness, without the sappy overload you might find in some other books. 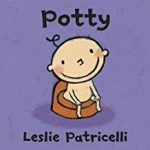 With bold, clear illustrations, and animal fun, there’s lots of ways to interact with this book if you want to. And if not? It’s not terribly long, so you’re okay either way. REAL glad I’m not the only one who skips sentences (paragraphs). 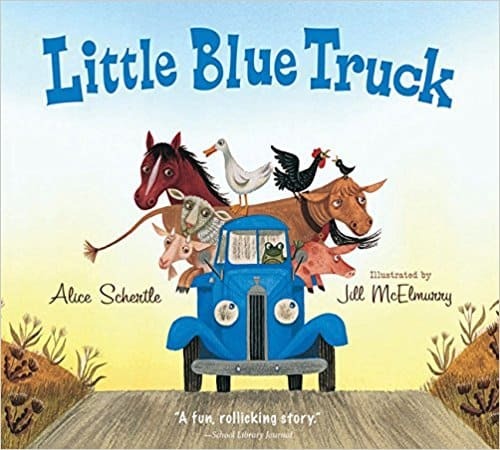 I swear to you on my life that my kid once picked out the Bible to read as a bedtime story… Nothing against the Bible, but at bedtime I’m more in the Little Blue Truck kind of mood. 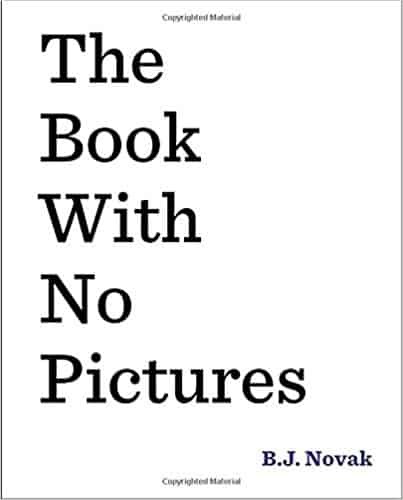 We LOVE LOVE the Book With No Pictures! 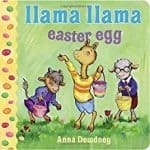 Our youngest enjoys the Llama Llama books, too. I’m going to have to look up the rest now. Thanks for the list! 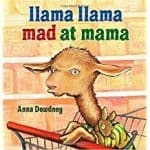 My 3yo refuses to read Llama Llama Mad ar Mama because she doesn’t want to hurt my feelings so I win a ‘best mom ever’ mug, right? Also, I highly recommend anything by Steve Antony or Jon Klassen. My book rules are: not too many words, good pictures, and fun for ME. These do not disappoint. A. Your mug is in the mail. B. Thanks for the recommendations!